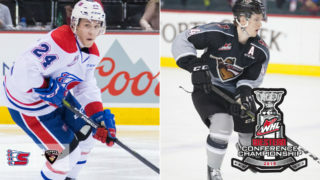 Tonight in Prince George the Vancouver Giants continue their northern trek when they take the ice against the Cougars for a third straight game, and for the third time in a span of five days. Last night the Giants skated to a 4-2 victory – Their second in as many meetings against the Cougars. Now tonight, for the eighth time this season the Giants will take the ice against their B.C. 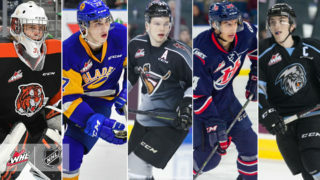 Division foes looking to further improve upon their B.C. Division lead. The Cougars on the other hand are looking to snap a 10-game losing skid. 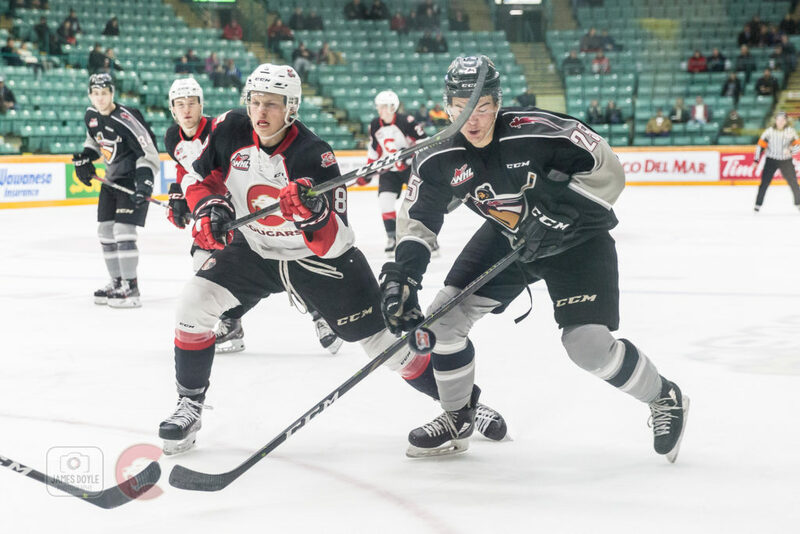 Over the course of their current 10-game skid, the Prince George Cougars have not managed more than two goals in any of those games. Since January 16th the Cougars have played five games where they’ve scored twice, and five games where they’ve scored once. The last time the Cougars scored more than two goals in agame was January 12th against the Kelowna Rockets – A 4-0 home victory. Coming into tonight’s game, Cougars forward Vladislav Mikhalchuk brings a four-game point to the table. Over the past four games, Mikhalchuk has registered three goals and one assist. In seven games against the Giants this season, Mikhalchuk has posted a goal and three assists for four points to lead all Cougars. 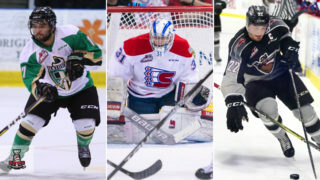 Coming into action tonight, the Prince George Cougars trail the eighth placed Seattle Thunderbirds by nine points for the second and final wild card spot in the Western Conference. With 17 games remaining in their season, the Cougars have 34 available points remaining for them. 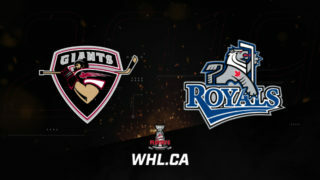 The Giants and T-Birds do not have any head-to-head meetings remaining this season. 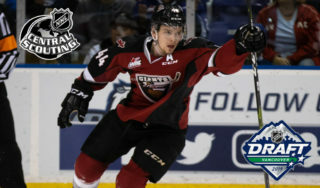 With 21 points in his last 13 games, the 20-year Surrey native continues to produce timely offense for the Vancouver Giants. He’s scored goals in nine of his past 13 games, and has piled up seven multi-point games over the same stretch. He had the opening goal of last night’s game and he’s one goal shy of matching his previous season high (22) for goals in a season. 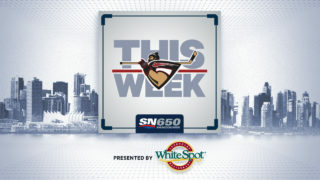 Arizona Coyotes prospect David Tendeck returns to the Giants net tonight for the first time since January 27th. Tendeck has appeared in three of the seven meetings against Prince George this season and is 2-1 with a 0.67 goals-against-average and a .977 save percentage and one shutout. Tendeck for the season is 16-9-1-1 with a .906 save percentage and a 2.52 goals-against-average and two shutouts. Bowen Byram leads all Giants two goals and four assists for six points in seven games against Prince George this season. Milos Roman and Justin Sourdif lead the Giants with three goals apiece against the Cougars this season. The Giants power play against Prince George this season is five-for-23 (21.7%).